www.seriouslyseries.com...WHAT could possibly go wrong !!! 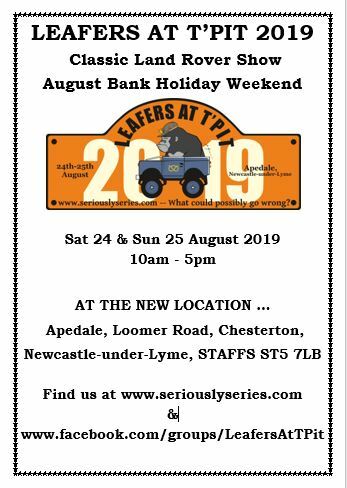 Attached is a poster advertising LATP 2019 for your leafer - feel free to print out and display! I am running a S2 club inspectors training day for the Yorkshire area on Saturday and although most will know about the new location the poster will be a timely reminder. It will cost a camping spot though. 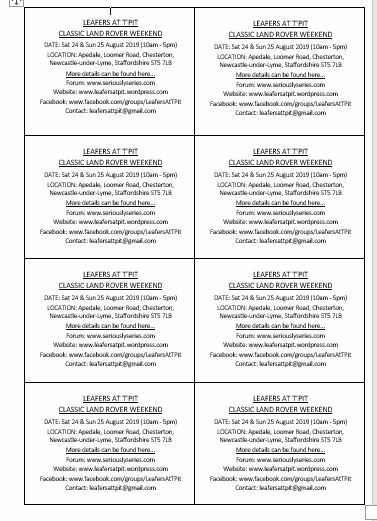 I’ll advertise at the next event I’m organising, which has 20 leafers coming (so far) for a run-out on 28 Apr to GCRN Ruddington. Location: Duston, Northampton, England, UK. Location : In a chair, sat at my computer, at home in Duston, Northampton, England, UK. 200TDi powered 1972 S3 LWB Truck Cab.